First class state-of-the-art 2nd floor Winchester model carriage home with Northwestern exposure. Perfectly appointed with mostly Alison Craig furnishings, Candice Olson and West Elm linens, upscale pottery, glassware and decorator touches with eye-catching paint colors and accent accessories. 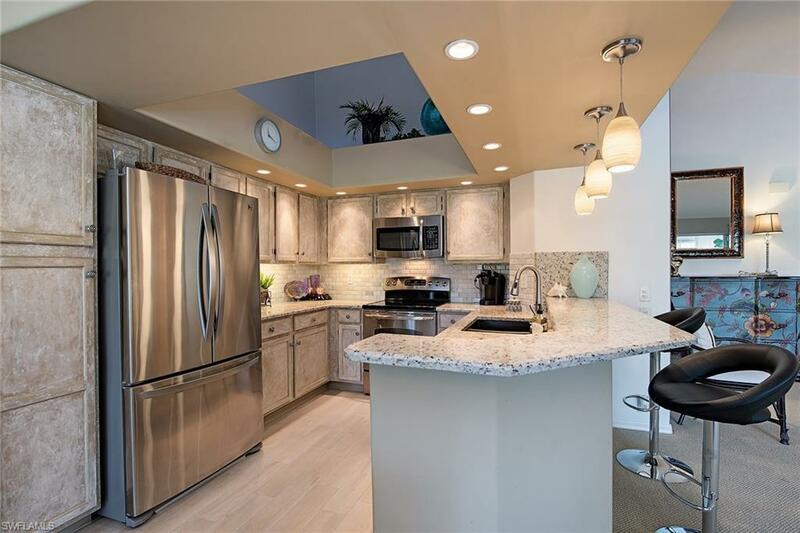 The stunning kitchen features granite countertops, tile backsplash and newer SS appliances. Both bathrooms feature new white shaker vanities with granite tops and fresh glass tile inlays in the shower and tub area. 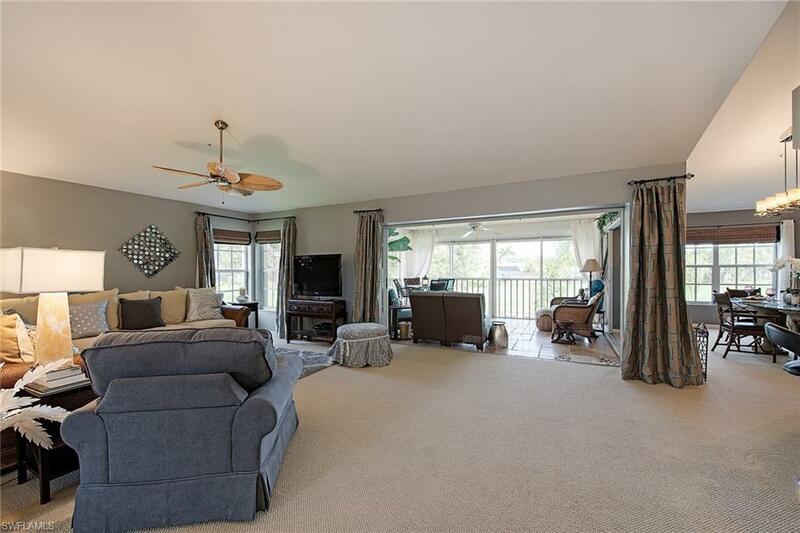 Additional highlights: Newer AC with UV light and ductwork in attic, premium carpeting and tile throughout, electric hurricane shutters, new black-out shade, garbage disposal, garage door opener, newer washer and dryer and golf cart. 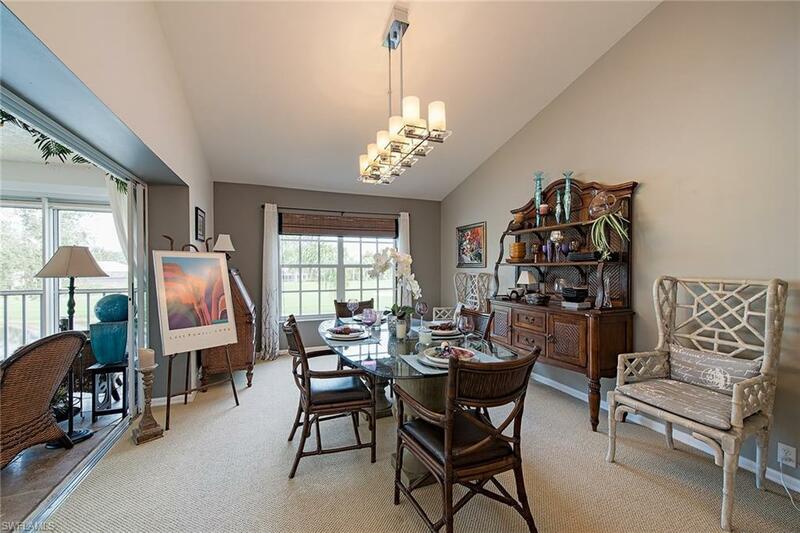 This carriage home overlooks water and the par 3 13th hole and boasts over 1,400 Sq. 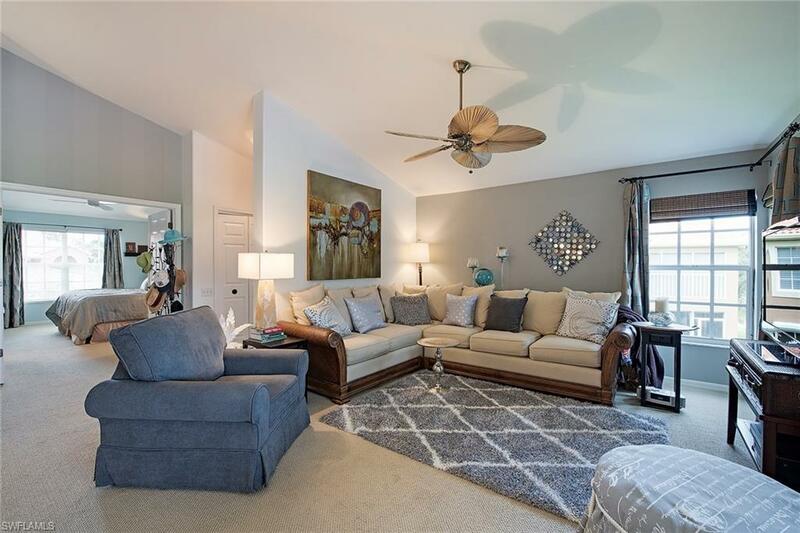 Ft. under air, 2 bedrooms, den, 2 bathrooms and a 1 car garage. Worthington Country Club is a bundled community offering a distinctive lifestyle featuring a gated community, a new renovated championship 18-hole golf course with Celebration Fairways and Tif Eagle Greens, Har-Tru tennis courts, dining, pub, resort style pool, hot tub, fitness center and outdoor cabana.